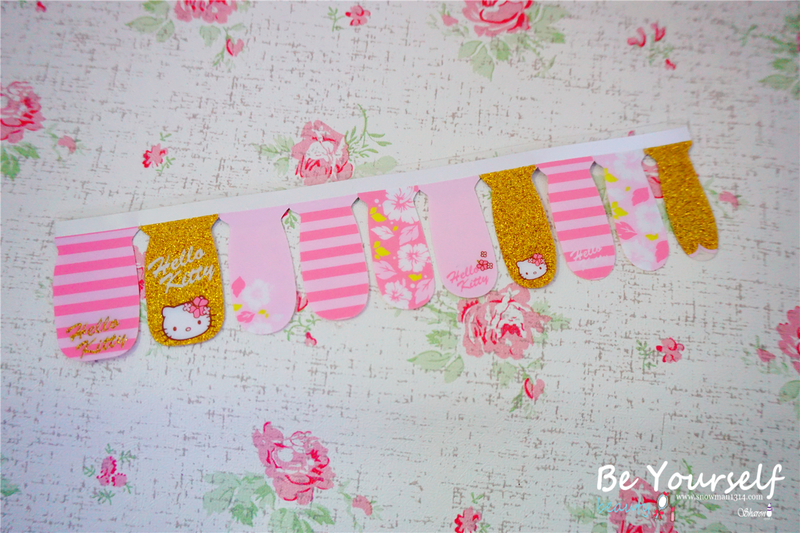 Hi there my lovelies, finally a sponsor post from Hishop product! When I look back to my post, I realize that I have not been doing many beauty post lately. I will try my best to do more of beauty post as I already have the photos but it just need some to edit all the photos. Please give me more time because it was totally not enough time for me. Saturday have to work half day at home and went for a movie in the evening. Sunday have to spend half day to church and can only start my personal time during night time. This was my first time doing nail sticker on my own! 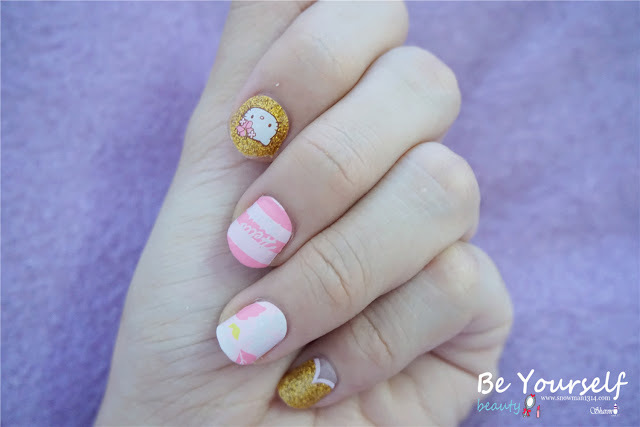 I saw many nail sticker online and never try them before. When I first received I was really surprise because I never try this before and afraid that it might difficult to do it. But it actually so easy and I swear I was doing this the first time. 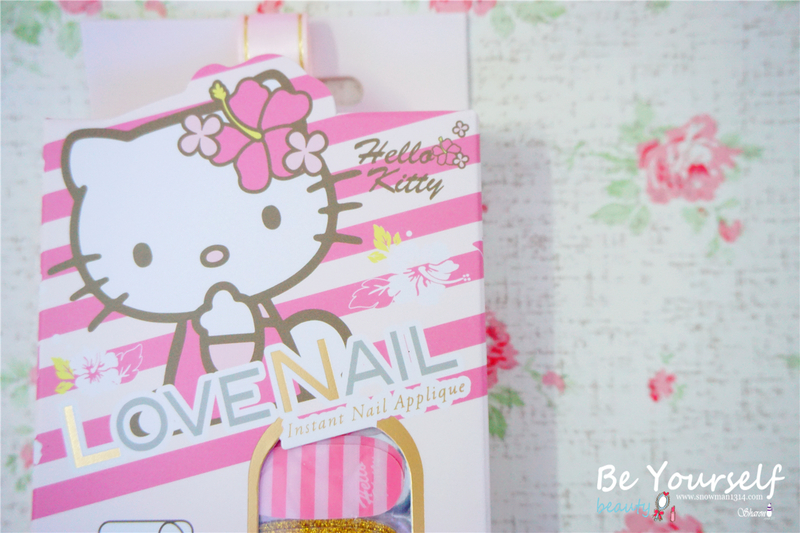 I was quite surprise that because Hishop actually know I like Hello Kitty and sent me their LoveNail Hello Kitty set for me. You can learn from the video I recorded in the end of the post. LoveNail Hello Kitty - Hibiscus from Hishop.my. 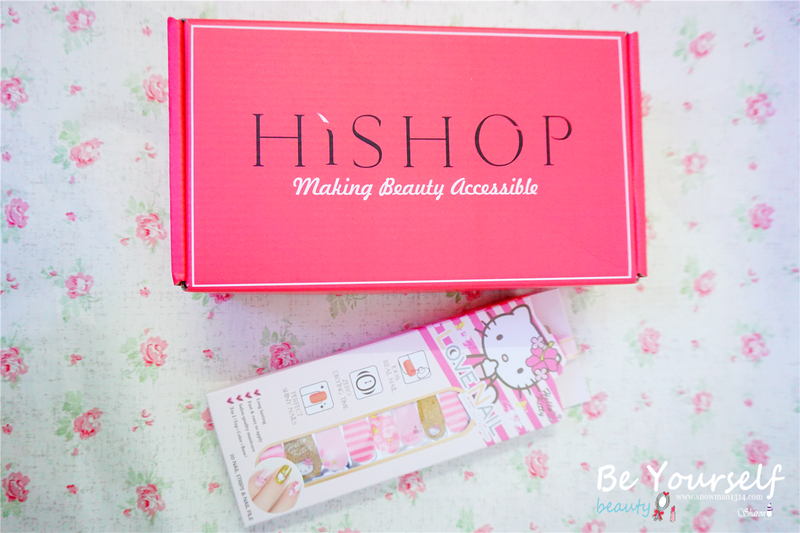 Thanks Hishop for knowing that I love Hello Kitty so much. 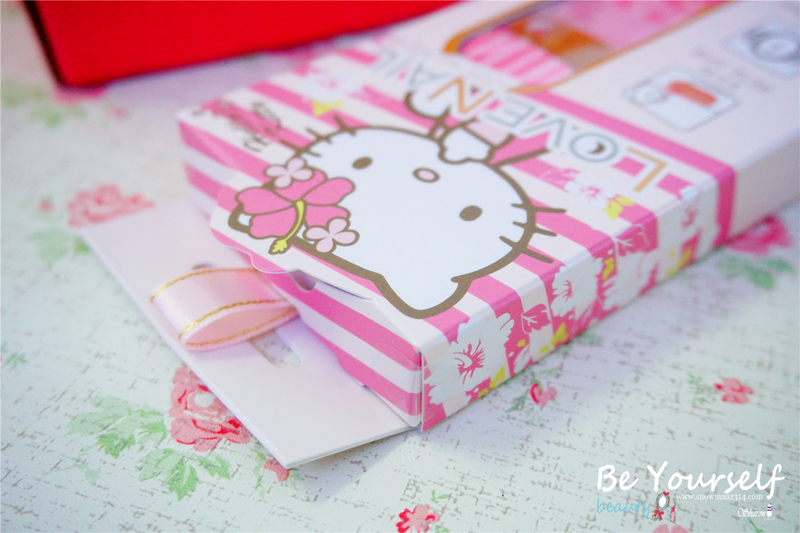 I love their packaging so much and feel so much loved by seeing the package. Feels like not willing to open and use it. Behind the packaging they have few simple steps to teach you how to use their nail sticker. 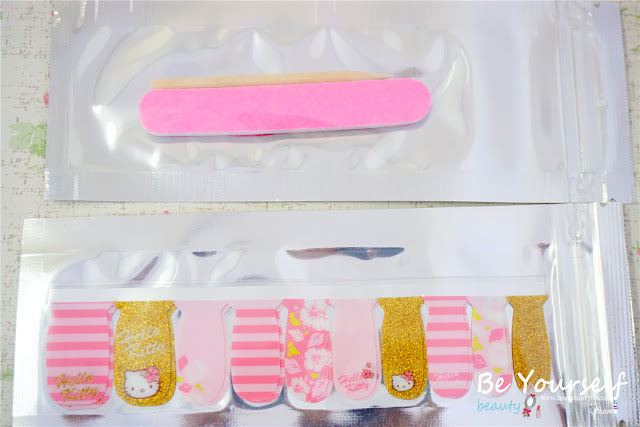 Inside included the double-head stick, nail file and LoveNail Hello Kitty sticker. See how pink and pretty the hello kitty nail sticker looks like. Ta-dang! It looks super pretty and cute on my nail. 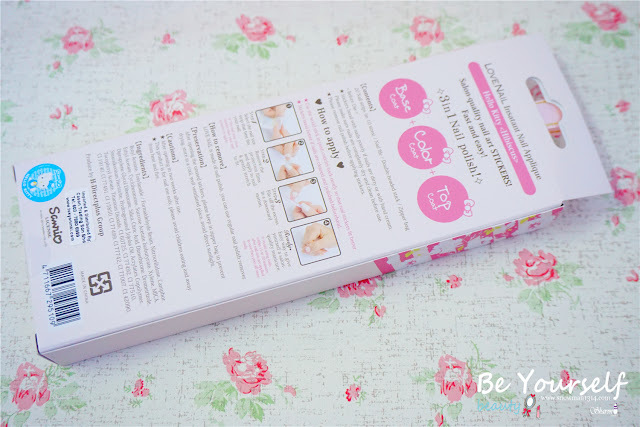 On the surface of Love Nail contains numerous invisible pores, which allow the nails to breath and made with jojoba to protect nails from yellowing. 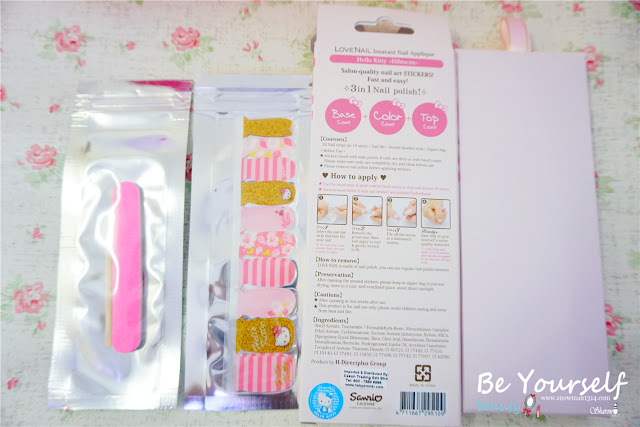 So you don't have to worry will the sticker is bad for your nail or will it weaken your nail texture. The innovative Love Nail Instant Nail Applique transforms real nail polish into flexible nail sticker. 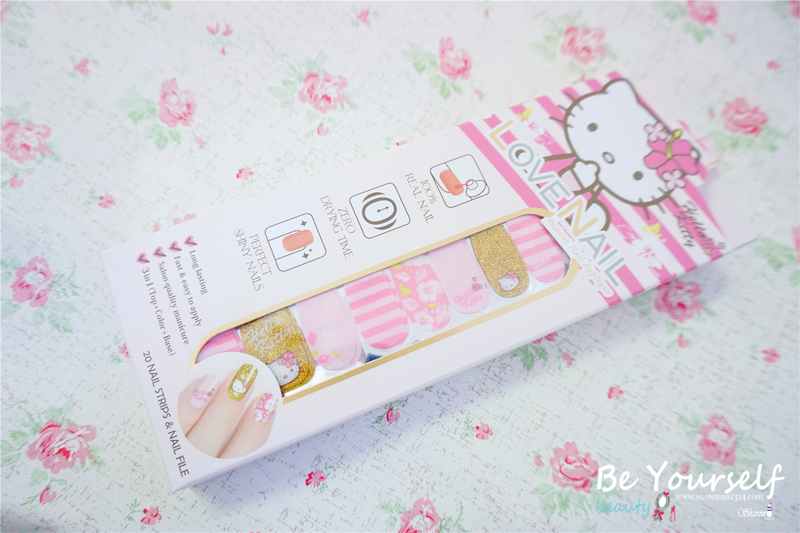 You can simply remove it with nail remover because the nail sticker was made of 100% nail polish. Looks how natural and amazing the LoveNail looks on our nail. It can even last for 14 days and you can save time and cost by going for a manicure. 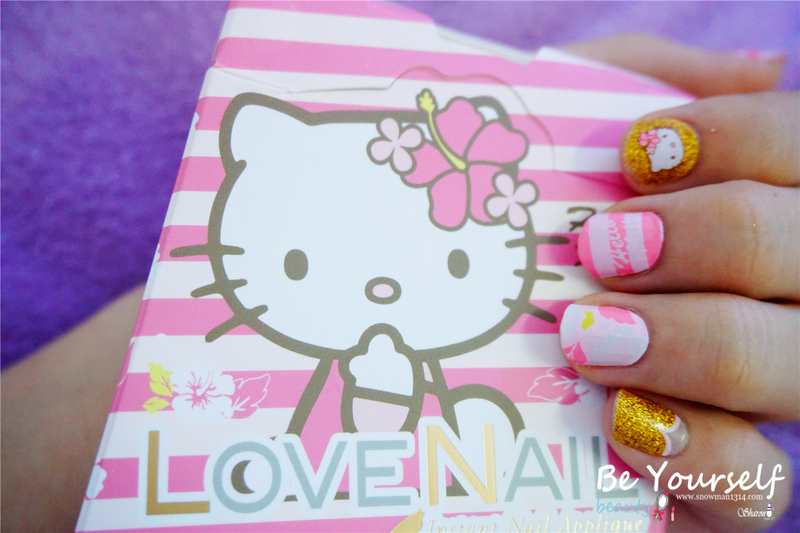 I love my LoveNail on my nails! What you guys think? Here's a short video of how I do my LoveNail Sticker on my finger. It was a quick and easy tutorial. Hope you guys enjoy watching it, haha! 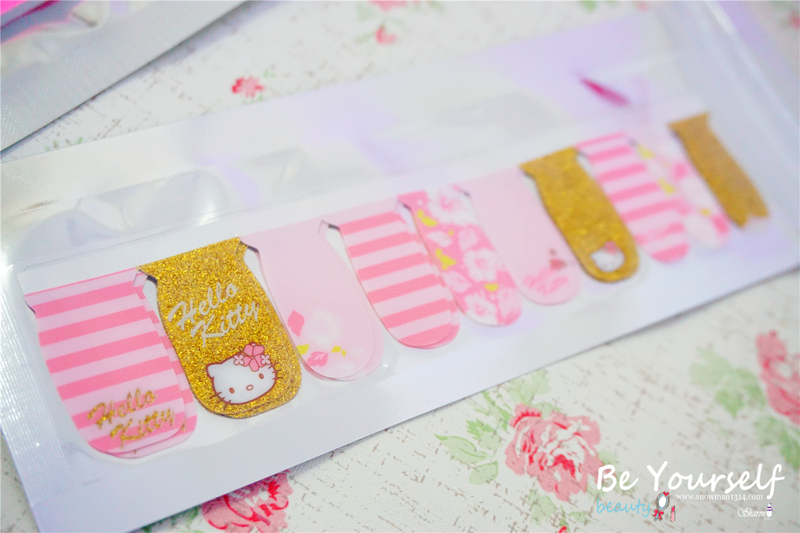 That HK nails are so cute, its really great that the sticker contains numerous invisible pores. Loves your review! Thanks for showing the steps in video^^. 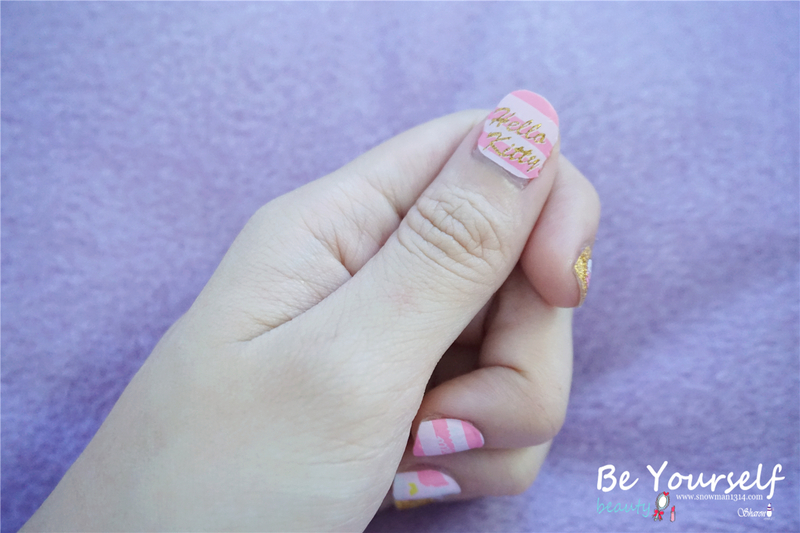 aw your nail art its so cute!! 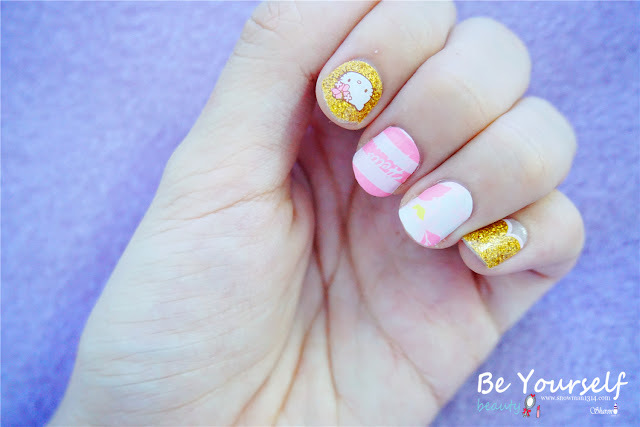 wow~~ love the hellow kitty nails!